An improving economy may mean a rise in fatalities from crashes involving non-commercial aircraft – even as the airline industry celebrates the best safety record in its history. Our airplane accident attorneys fully understand the complex issues relating to aviation accidents. In fact, both Bruce L. Scheiner and Preston J. Scheiner, have earned their pilot’s license. The Aviation Safety Network recently released its report on 2013 airliner accident statistics. The industry watchdog’s data showed a record low 265 airliner accident fatalities in 2013. While 2013 was by far the safest year in terms of the number of fatalities, industry data also showed that 2013 was the second safest year on record in terms of the number of accidents with a total of 29 fatal airliner accidents. Thankfully, the United States has not witnessed a fatal large commercial aviation accident since 2009. Unfortunately, the rest of the aviation world has not been so blessed General aviation accidents in Florida and elsewhere took the lives of nearly 500 people in 2010. Thousands more were injured in these accidents. 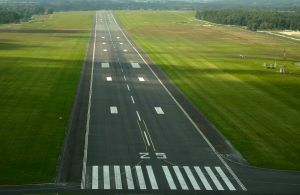 Our Florida aviation accident attorneys understand that these accident rates are the highest within civil aviation. At Associates and Bruce L. Scheiner, Attorneys for the Injured, we have the knowledge and experience to assist clients in the wake of aviation accidents. Both Bruce and his son Preston have earned their pilot license; Preston is a licensed multi-engine commercial pilot. 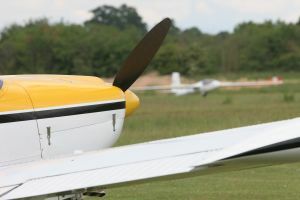 Those who participate in general aviation are typically 6 times more likely to be involved in an accident than those in small commuter or taxi operations. Even worse, they face a risk 40 times higher than the risks of larger transport categories. Believe it or not, the causes of general aviation accidents are almost always a repeat of the circumstances of previous accidents. To help reduce the number of these fatal accidents, the National Transportation Safety Board has placed these pilots on their “most wanted” list. This is a list that aims to raise awareness in the community about these accidents and to propose possible solutions to help reduce the number of fatalities. According to the NTSB, about two-thirds of all general aviation accidents that happened in instrumental meteorological conditions (IMC) are fatal. It is recommended that prospective pilots have a better understanding of aviation weather before obtaining a pilot certificate or rating to help reduce the risks of these accidents. Pilots who have recently been in an accident are nearly 3 times more likely to be involved in a weather-related accident than a pilot who has not been involved in any prior accidents. Currently, there is no formal requirement for tracking and reviewing a general aviator pilot’s performance history. The NTSB encourages the development of such programs to help identify the risks of accident involvement and then to develop a program to reduce these risks for pilots. -Ensure that all pilots receive weather-relate recurrent training. -Establish a specific number of weather-related questions that must be correctly answered to pass the Federal Aviation Administration airman knowledge test. -Develop a way to identify flight history. -Enforce better fuel requirements and alternatives for flights that cannot be completed because of delays encountered. -Enforce a better and more effective way to present flight service stationary weather information briefings. -Revise the current material regarding pilot weather briefings so that they include guidance for pilots use of satellite, Internet, and other data sources for collecting weather information. The NTSB encourages improvements to the aircraft, flying environment, and pilot performance. All maintenance personnel should be routinely trained with current and updated information and techniques regarding key systems, such as electrical systems. General aviation aircraft should also come equipped with the best and most effective occupant protection systems. All aircraft should have emergency locator transmitters to ensure a timely discovery and rescue by emergency responders in the event of an accident. 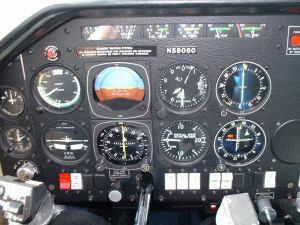 As aircraft become more and more sophisticated with glass cockpits, general aviation pilots need to how the technology functions and how it can malfunction. There’s no time to check the manual in the event of an accident. A Fort Lauderdale plane crash that killed two students and an instructor is a stark reminder of both the popularity and risks associated with general aviation in South Florida. Our Florida airplane accident lawyers understand the complexities involved with investigating and determining the causes of an airplane accident in Fort Myers, Naples or elsewhere in South Florida. Our Founding Attorney Bruce L. Scheiner, held an active pilot’s license for years and Attorney Preston J. Scheiner is a licensed multi-engine commercial pilot and is trained and licensed to fly the Citation Jet series of aircraft. Having a law firm that understands the complexities of aviation law and the aviation industry can help ensure that your rights are protected in the wake of a serious or fatal airplane crash. Thursday’s accident killed a flight instructor and two students when the Piper PA-44 Seminole aircraft crashed while taking off from Palm Beach International Airport. A flight instructor and two students were among those killed. A passenger was taken to an area hospital, where he later died. The plane was owned by Melbourne-based FIT Aviation LLC, the Florida Institute of Technology’s aviation school, the Sun-Sentinel reported. Each year, the National Transportation Safety Board reports an average of about 1,500 airplane accidents in the United States. Florida and California lead the nation in airplane accidents, with each state reporting about 150 accidents a year. The vast majority of these involve single-engine piston airplanes. Florida has more than 48,000 licensed pilots and more than 100 public airports. Determining the cause of an airplane accident, and making a recovery from those responsible, can be among the most complicated cases handled by a Florida personal injury or wrongful death law firm. State and federal regulations; the involvement of in-state and out-of-state pilots and insurance companies; plane ownership that is frequently a corporate entity; and acquiring maintenance and training records can all complicate aviation litigation in the wake of a serious or fatal accident. With general aviation comes a responsibility to passengers, as well as those on the ground. When negligence is involved in a serious or fatal accident, victims can and should be compensation for medical bills, pain and suffering and other actionable claims. Whether they receive the compensation to which they are entitled can depend on their choice of law firms. Airline Safety – Is Your Flight Really Cleared for Take-Off? If you knew how many times you’ve been onboard a flight that should not have been allowed to leave the runway, chances are you’d be far more concerned about airline safety. According to a study conducted by USA Today and released on February 2, there are an alarming number of flights with mechanical and safety problems that are given clearance to take off when they should have remained on the tarmac. The newspaper’s six-month study found that millions of air travelers were on approximately 65,000 commercial carrier flights that should never have left the ground because the planes had not been properly maintained. The Federal Aviation Administration, (FAA), the government entity which oversees airline safety compliance, has fined or has proposed fines against 25 commercial air carriers totaling over $28 million. The fines are related to maintenance violations, and occurred over the past 6 years. The most egregious offenses were by Southwest Airlines, which was fined $7.5 million last March. The airline operated 46 aircraft on almost 60,000 flights during 2006 and 2007 without having them undergo mandatory fuselage inspections intended to detect cracks in the body of the planes. The FAA determined that 6 of the planes did have cracks in the fuselage – and also that even though Southwest was aware they had not followed the required inspection routines, they continued to operate the same 46 aircraft for an additional 1,451 flights. Sky Safety: Are Regional Airlines as Safe as Major Carriers? They used to service the small towns and rural areas where the large commercial airlines did not provide service, and some used the term “puddle jumpers” to refer to commuter or small, regional airline services. Today, as a result of the economy, mergers and some larger airline companies going belly up, regional airlines are a growing segment of the air transportation industry. However, many passengers, as well as the Federal Aviation Administration, are concerned that the safety standards of both the airplanes and the pilots that fly them may not be up to those of the big commercial carriers. Almost half of all the flights in the country are operated by regional airlines, and they transport 160 million passengers per year – an increase of 40 percent since 2003. All of the major airlines, such as American, Delta, United, Continental, and US Airways utilize smaller regional carriers to fulfill their routes. Oftentimes, a passenger is unaware that when they purchase a ticket on a major carrier, they will actually be flying a “partner” airline, even though Federal law requires that disclosure. In most cases, regional carriers operate under the names or two-letter codes of the major airlines that hire them. 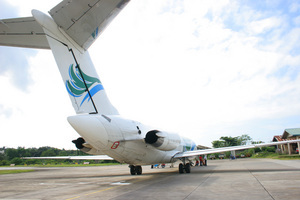 Countless travelers are often surprised when they arrive at their departure gate and see a small, 50-seat aircraft when they were expecting a full-sized commercial jet. Today, it is not uncommon for smaller, regional jets to be used for longer flights than in years past, some for duration of three hours or more. The holidays are here and December is a particularly busy month for the airline industry as we travel to visit family and friends across the United States. Cabin air pressure can present problems for these travelers. The fuselage of a jet is a pressure vessel. Between every normal takeoff and landing, the cabin pressurizes and depressurizes. While cruising to their destinations, passengers need air (with oxygen) pumped into the cabin to breath. After compressing and cooling it, the engine(s) supply the breathable air. 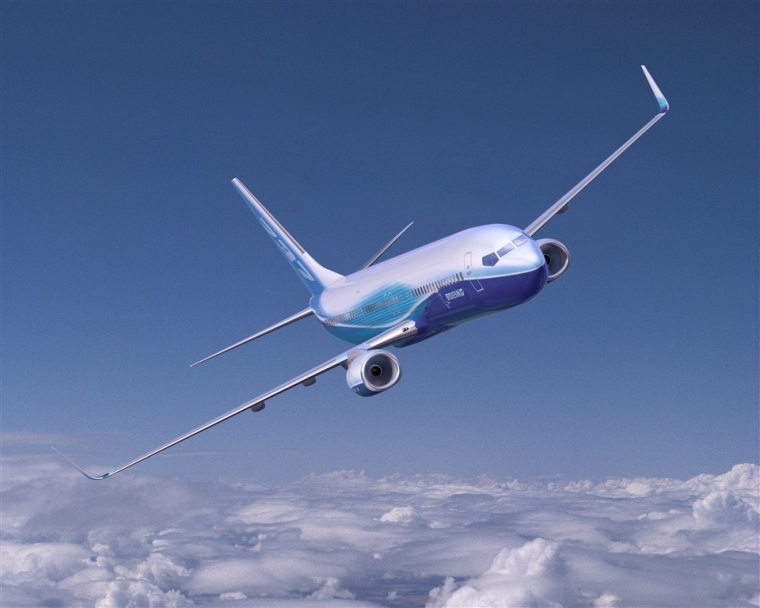 Although the altitude of a Boeing 737 will reach 41,000 feet, the passenger cabin typically attains only 8,000 feet. Why don’t the pilots pump more air into the cabin, keeping the interior “atmosphere” near sea level? They don’t do this because the pressure differential between the thin outside air and the dense cabin air would be too great, placing excessive stress on the fuselage. 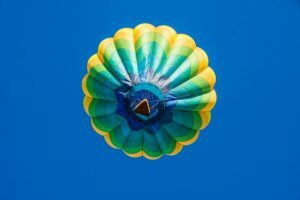 As an overfilled balloon pops, a fuselage with too much cabin pressure will crack or burst open. For a B737, relief valves will open automatically to prevent the cabin differential pressure from exceeding 9.1 pounds per square inch (psi). In rare cases, due to undetected structural fatigue, fuselage skins fail even under ordinary conditions. In July a Southwest Airlines Boeing 737-300 depressurized after a one-foot hole appeared in its upper fuselage. Fortunately, the aircraft was diverted and landed safely. The Florida injury lawyers at Associates and Bruce L. Scheiner, Personal Injury Lawyers, begin 2009 with a new toll-free phone number, 1-800-Dial-BLS. Whether you are injured in a car accident, motorcycle accident, truck accident or are the victim of a drunk driving crash or other personal-injury or wrongful-death situation, representatives are available 24 hours a day at 1-800-Dial-BLS to review your case. The firm has four decades of experience handling car accidents and other personal injury cases throughout Southwest Florida, including Fort Myers, Naples, Cape Coral, Arcadia, Port Charlotte, Venice and Sebring. Started in 1971 by Bruce L. Scheiner, the family-run firm is dedicated to representing Florida residents who have been injured by the negligent or careless acts of other individuals, businesses or insurance companies. The firm has never worked for big businesses or insurance companies and practices exclusively in the area of personal injury law. 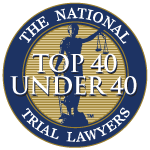 Unlike many other firms, which split their attention between personal injury cases and other types of law, like divorce, real estate and criminal cases, Associates and Bruce L. Scheiner, Personal Injury Lawyers, is a team of almost 100 professionals dedicated to fighting for justice for those how have been injured or killed in Florida. Bruce L. Scheiner still hand selects each case the firm represents. Together with his wife Cheryl, who runs the office, and son, Preston J. Scheiner, who is an associate attorney, the Scheiner team is dedicated to getting you and your loved ones the compensation you deserve. After four decades of service in Southwest Florida, there promise to you is simple: at Associates and Bruce L. Scheiner, Personal Injury Lawyers, you’ll pay nothing unless we win. Look for the new toll-free hotline throughout Southwest Florida, on billboards, on television, in the yellow pages and online.